Each of us have our own idea of "terrifying". 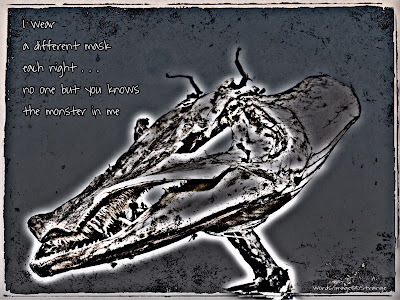 For me, it's real-life monsters as I have come to face many in my short twenty-five years. This haiga really hits home for me and as soon as I saw it, I couldn't help but think it deserved an award. First of all, the image is startling. 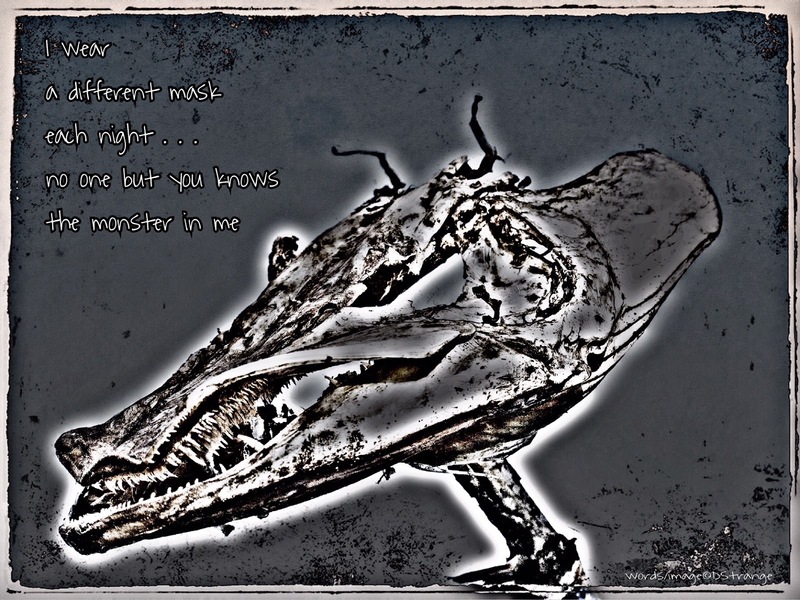 I love that you can't tell exactly what it is... dinosaur, fish, sea monster—it's just unclear, but I think that's what complements the tanka so well. I'm sure we have all met someone who wears a mask and leads you to believe they are someone they aren't. Those are the most terrifying of people. They prey on your vulnerability and wait for the right moment to attack. What takes the horror a step further is that only you know who they really are. All I can say is be careful who you put your trust in... the real-life monsters are the ones that can really hurt you. 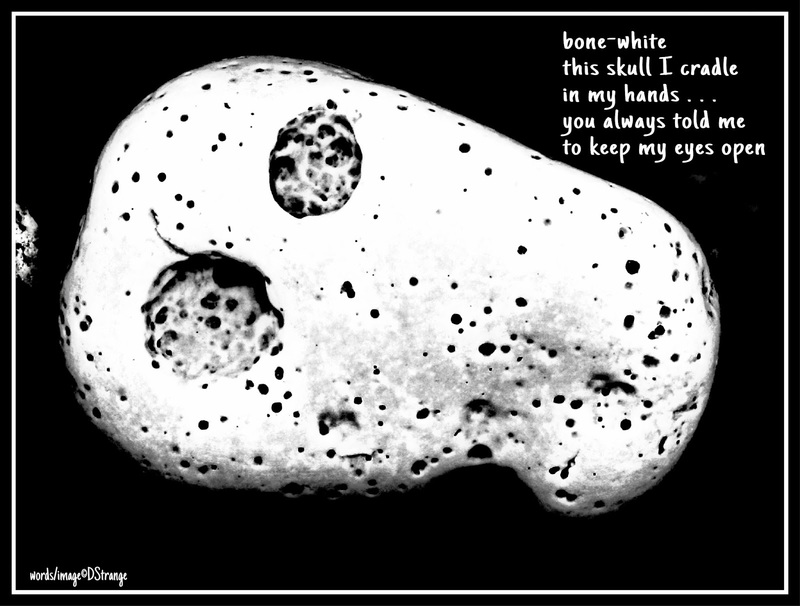 The art is based on my black-and-white photograph of a bleached fish skull. I inserted a stick into the cavity and held it up to the sky so that the background would be free of distraction.